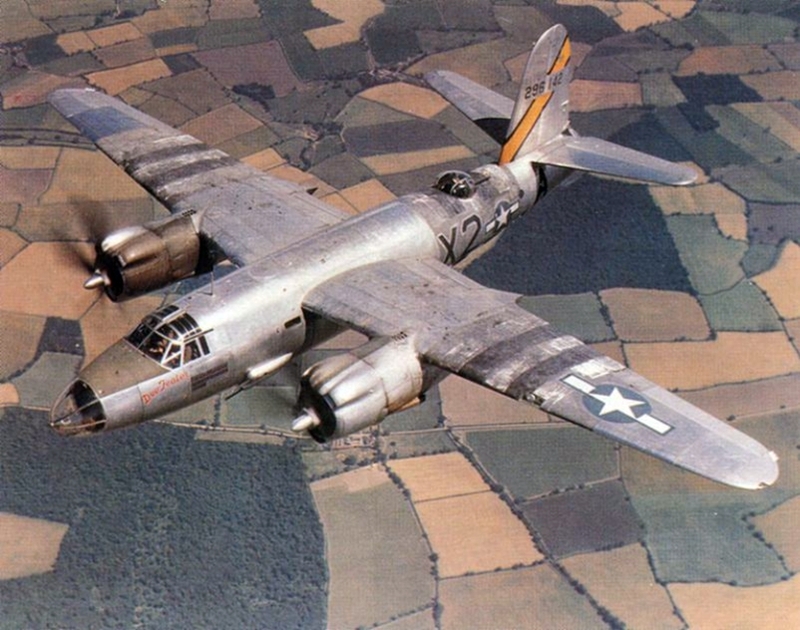 The Martin B-26 Marauder was built in 1940, and it was built for speed. Like many aircraft built in the lead-up to World War II, the B-26 was rushed into production. While the typical development cycle of an aircraft from paper to first flight was three years, the B-26 went from idea to air in just a year. In the early years of the war, it was also flown by pilots who didn’t have the experience to get it safely off the ground and back down again. The landing speed of the B-26 was 150 MPH, which was far in excess of what most pilots were prepared to handle. It had the highest wing loading of any other aircraft used during the war, and didn’t have the automatic braking systems that come standard today. This made the B-26 a beast to be reckoned with – and highly unpopular early on in the war. Created by Peyton M. Magruder, the B-26’s streamlined fuselage and short wing enabled it to reach speeds of over 320 MPH and a range of 1,800 miles. It could carry over 7,000 lbs of gear to a height of 26,440 ft, and came standard with four .30 caliber machine guns. It was used primarily as a bomber, and later – with some upgrades to its machine guns – a virtual flying fortress. The B-26 first saw action in the Pacific. It was deployed to Australia with the 22nd Bombardment Group on December 8th, 1941, right after the Pearl Harbor attack. The B-26 performed regular missions against targets across New Guinea and the Aleutians. It was also operated from bases in Alaska. After crews were re-trained and some aerodynamic features improved, the B-26 became a safer aircraft to operate. Great Britain used the B-26 with fine results across Europe and North Africa. Its most successful missions were on night flights in bombing raids across Europe. It had the speed and the range to make the runs without as much risk of damage from other aircraft. The U.S. government commissioned the production of 5,288 B-26’s from 1941 to 1945. By 1947, they had all been retired from service.